District Collector Babu A apprised SaiPrasad of the progress of various works taken up for Krishna Pushkarams. 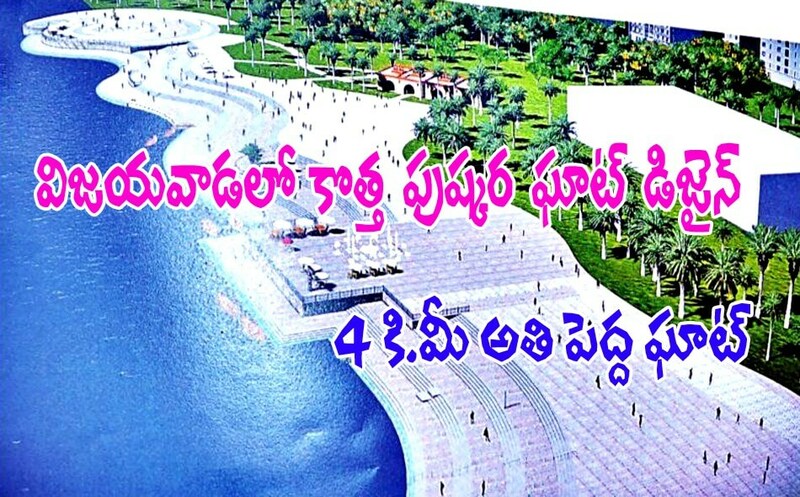 He said a 4-km-long Pushkar Ghat would be constructed downstream of Prakasam Barrage. These bathing ghats would be permanent features of the city and would have the potential to attract tourists. A control room equipped with modern equipment would be set up in the model Guest House area. The State Government has sanctioned Rs 28 crore as pushkar grant for the development and beautification of roads in Vijayawada city. Speaking after inspecting the ongoing works of Kanaka Durga flyover, Raghava Rao instructed the officials to complete the development works by July 15. Principal Secretary to the Chief Minister G SaiPrasad had also reviewed the progress of Pushakaram works and underscored the need for completing the works soon. He asked the district administration to focus on entertainment and leisure besides providing basic amenities. Later, he inspected the works at Rajiv Gandhi Park, Durga Ghat, Model Guest House. Berm Park areas and apron works on the barrage. In another development, Municipal Commissioner G Veerapandian has sanctioned Rs20lakh to restore the traffic signals at 20 junctions of the city. He instructed the officials to start the works immediately to restore the traffic signals quickly. Most of the traffic signal repairs are minor in nature and could be completed quickly. As many as 20 temporary bus stations will be constructed on the outskirts of the city to ensure hassle-free journey for the pilgrims during the 12-day Krishna Pushkarams. RTC deputy chief traffic manager A Sudhakar informed that he would inform his higher authorities about the proposed traffic diversions in view of the pushkarams.